Finding Joy Needs Your Vote! Hi everyone! FINDING JOY was included in AllAuthor's April 2017 Cover of the Month contest. Could you please cast your vote for my new release? Thank you, friends! It's finally release day for Finding Joy (Love's Compass: Book 5). Can you tell I'm excited? :-D Parker and Chelsea's story was a lot of fun to write and I can't wait to share it with all of you. I hope you love it as much as I do! There are a number of wonderful people who helped spread the word about Finding Joy. I'd love it if you'd pay them a visit! 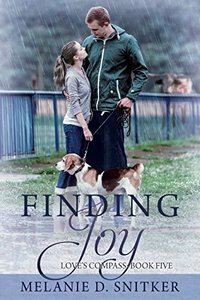 Faith Blum - https://bookishorchestrations.blogspot.com/2017/02/finding-joy-review.html - The post includes a review! 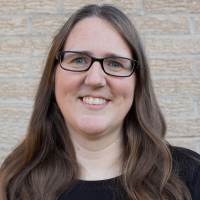 Kristin Holt - http://www.kristinholt.com/archives/10500 - Includes a review! Jodie Wolfe - http://www.jodiewolfe.com/single-post/2017/02/22/Welcome-Melanie-Snitker - Complete with interview! Would you like to know more about this pretty girl and how she ended up on the cover of Finding Joy? Check out my blog post over on Sweet Romance Reads today! Have you heard about Sweet Romance Reads? It's a group of authors that all write sweet romance in a variety of subgenres. We've built a community for readers who enjoy a sweeter read and would like to get to know the authors that write them! I'd like to invite you to come check it out - you'll be glad you did! We have new blog posts every day on the website. The Sweet Romance Reads Cafe is a Facebook group that's very active. We also host several large Facebook parties a year. Sign up for our newsletter and receive a free collection of romance novellas! Valentine's Day Sale: 52 books for $0.99 each! Do you like to read? How about some one-stop shopping where you can browse through 52 clean romances for only $0.99 each? Yes, please! Please Note: This sale is supposed to include only clean romances. However, I know there is at least one title that would be considered steamy, at the least. I'm saddened to see this. Please double check your titles before purchasing from this list. My apologies to all of you! Finding Joy is one of the many books you can snag for just $0.99. It's a new release and will be sent directly to your Kindle application or device first thing on the 14th. How's that for a Valentine's Day treat? Research is a part of writing any book. In Finding Joy, Parker and his family own a ranch in Kitner, Texas. In addition to the Angus they raise for beef, they have a small herd of Texas longhorns. Working with these animals brings up a lot of memories for Parker and I wanted to learn as much about them as I could so I could give all of you a true sense of what they were like. I did a lot of reading online, but I was especially excited to learn that we have a longhorn ranch not too far outside of town. Justin and Diane own and run the Whining Bull Ranch. They and their son, Jordan, were kind enough to invite me over for a tour so I could see the longhorns up close and personal. I jumped at the chance! Armed with my camera, I couldn't wait to learn more. They were wonderful about answering my long list of questions. After visiting for a while, they took me on a tour of their beautiful ranch. We first went across to the far pasture to see the longhorns there. Much like a scene I wrote in Finding Joy, I got to watch the herd race to meet us. Justin had range cubes and they were excited to come and get a treat. I knew their horns could be huge, but I had no idea until I was standing right there in front of them. Magnificent! It would have been easy to just sit down and watch the bull, heifers, and the adorable calves for hours. I'm truly thankful to Justin, Diane, and Jordan for the opportunity to experience this in person. It's something I won't forget, and it allowed me to add a lot more details to Finding Joy that I hope you wonderful readers enjoy! Our lives are filled with seasons. Some are joyful, others are touched with sorrow. Sometimes a season in our life indicates a time where everything comes together just right, while another might feel like everything is falling apart. For our family, we have entered a season that brings challenges and, along with that, a lot of adjustments. At this point, I think it will be a short season, but it's here none the less. I've mentioned before that our son has autism. He was officially diagnosed at the age of three, although we'd been told to expect the diagnosis at two. Autism has always brought a wide range of blessings and challenges to our lives in the form of a boy who never fails to make us smile. A highly intelligent boy who can quote a number of movies, finds joy in music, has the most contagious laugh, and can give some of the best hugs and cuddles. This summer, new challenges have risen on the autism front and our family has been struggling to help our son and everyone else adjust to the changes. We're working closely with an ABA therapist and allowing time and love to help in that adjustment period. But for now, it's one of those seasons in my life where I need to focus most of my energy on my family. What does that mean for my writing? It means that I need to move it down on my priority list. By doing so, the release of Finding Joy is going to be pushed back. I have every intention of releasing it this winter, but it's definitely later than I'd wanted. I hope all of you wonderful readers will understand. Meanwhile, prayers and good thoughts for our family as we navigate through these new, and sometimes murky, waters would be very much appreciated. More information and the pre-order coming soon!